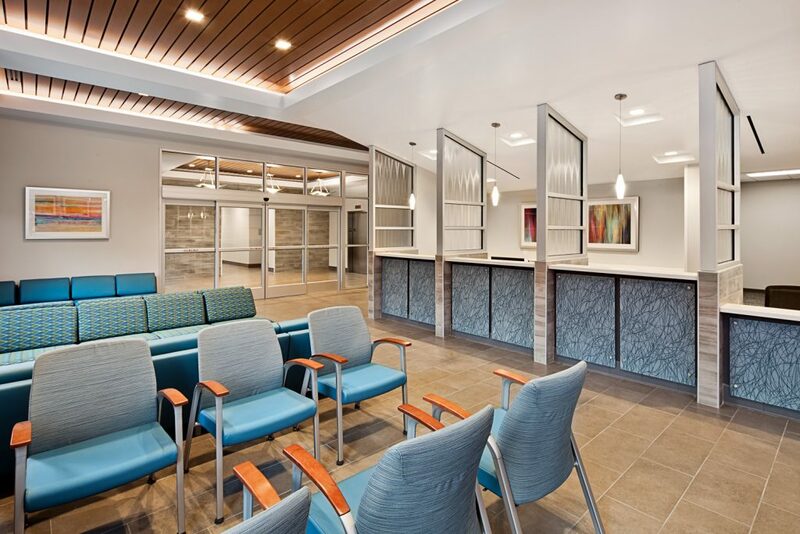 M. B. Kahn has just completed a 55,000-square-foot medical office building for the Southern Regional Area Health Education Center (SR-AHEC), and the owners have moved in! Providing essential clinical and teaching spaces, this new 3-story facility was built within feet of the existing facility which remained open for business throughout construction. With a seamless transition from old to new, SR-AHEC will be conducting business as usual and welcoming patients to their beautiful new spacious and state-of-the-art facility on Monday, June 26th. Congratulations to the team, the owner, and the community!